Speed enhancement. A category created to introduce golf clubs that accelerate the club head into the golf ball, providing greater distance for players who may be lacking in club head speed. Callaway took a solid leap into this category last year with the Optiforce release, and have taken speed enhancement a step further this season with the V-Series. Think “V” for velocity. Consider the idea of a club head built to improve the kinetic energy available on contact caused by increased club head speed. It all sounds incredible and ideal, but it only scratches the surface of what the V-Series will provide to golfers. Speed Optimized Technology – (From Callaway) Where the maximum club head speed comes from for superior ball speed and greater distance. You can thank the advanced, lightweight aerodynamic club head for that, and the lightweight shaft promotes faster speed. Between the head and shaft weighting along with the D0 swing weight profile, there is a distinct ability to drive the ball through the zone quickly and efficiently with V-Series. While somewhat predictable in results, swing speeds increased slightly from other, heavier wood designs. What was impressive about the profile of the V-Series was a notable lack in swing deviation despite the reduction of weight. Passes through the zone provided similar consistency and quality. 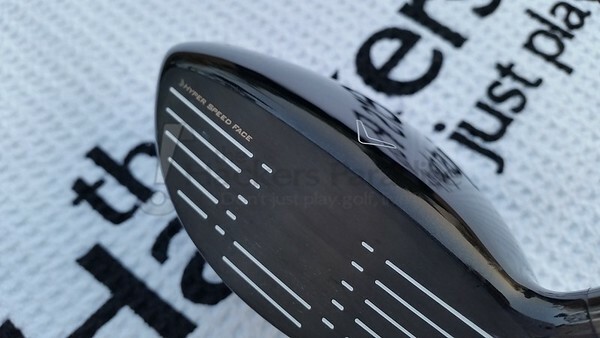 Hyper Speed Face – (From Callaway) Higher ball speeds across the face for longer, more consistent distance. A definitively opinionated design would limit true ‘review’ of how ‘hyper speed’ the face truly is, however in testing the commentary lead itself to claims of the ball coming off ‘hot’ or ‘jumping’ off the head. Likely a product of launch and sound, however worth considering. It’s no secret the Optiforce and now the V-Series can elevate the ball quickly and efficiently, and the audible changes are that of continuous improvement as different materials are incorporated. Modern Warbird Soleplate – (From Callaway) To increase versatility from everywhere, with an updated design that builds off of one of the most versatile fairway woods ever made. One of the best solutions for determining versatility of a wood is to get the ball on the deck, without being propped by the perfect lie, to see how quickly the ball can get airborne. In this case, a variety of swing types spanning the entire spin/launch spectrum found ease in producing ideal launch without teeing the ball. For the higher spin player this actually appeared to be the most ideal scenario for playing the V-Series, as the ball launch increased as contact traveled up the face. More on forgiveness to come. 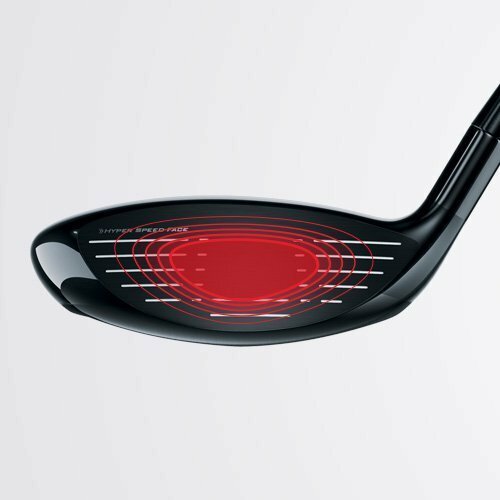 High Launch Design – (From Callaway) The increased launch angle helps get the ball up in the air easily for the distance you want to see, especially when your impact is low on the clubface. 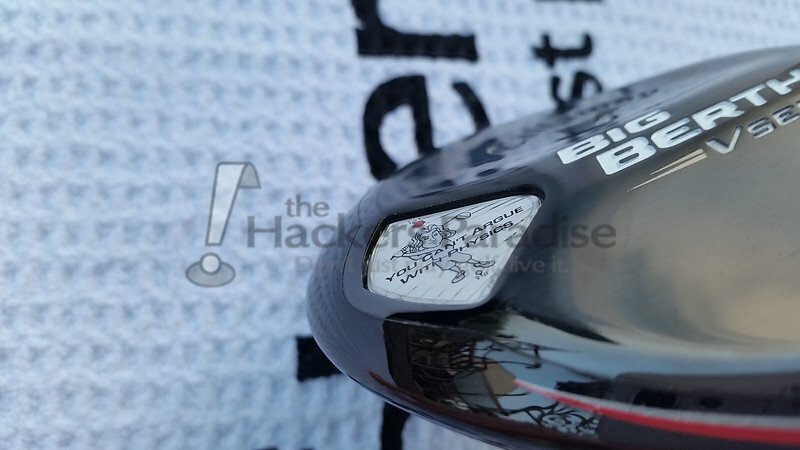 The higher launch angle helps make this our most forgiving Bertha fairway wood. The 15.5 degrees of the V-Series 3 wood combined with the 2nd generation Bassara 52 gram E-Series shaft did an excellent job of promoting high launch. Center contact and anything slightly above center generated instant launch with the ball rising throughout flight. Lower launching golfers who generally struggle to elevate the ball were both impressed and pleased with the launch performance of the V-Series, not sacrificing distance against their own gamers despite the higher loft. 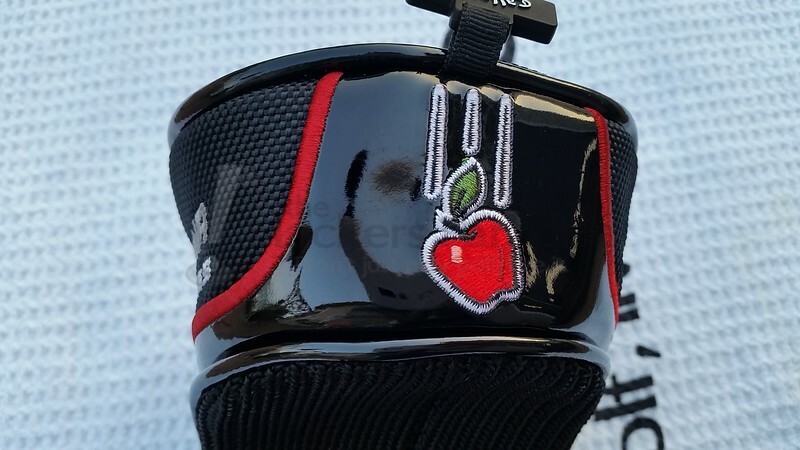 A key component of fairway wood functionality is forgiveness. When a hole doesn’t call for driver in length but demands accuracy, or when precision is required from distance trying to reach a par 5 in two, the fairway wood should be viable. In the case of the V-Series 3 wood, face forgiveness and overall consistency played a large role. Off the tee, with the ball slightly elevated, a robust yet neutral fairway sound provided appeal on contact, and high straight shots followed. 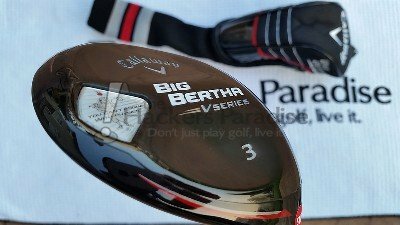 While some fairways seem to have a tendency between drawing and fading as a bias, the V-Series appears quite neutral as confirmed by Callaway’s website (face neutral). From the deck, there was very limited stress in getting the ball airborne and on target. Between the Warbird sole and Hyper Speed face, the ball rarely struggled to elevate and while the launch was lower than a typical tee ball, produced ample arc and carried well. Again, the most common direction was straight (or straight-er for some who tested and prefer to play a fade in their game). Workability is not hindered by the V-Series, and attempts to fade and draw the ball were met with expected flight paths, however not to the point of sweeping or spraying turns in either direction. This effort to work the ball included unintentionally striking the ball lower on the inside of the club face, which introduced a more penetrating flight with a 10-15 yard fade, starting left of the target line and returning to center. Distance loss on these where minimal however it could lend itself to carry vs. roll on final distance calculations. 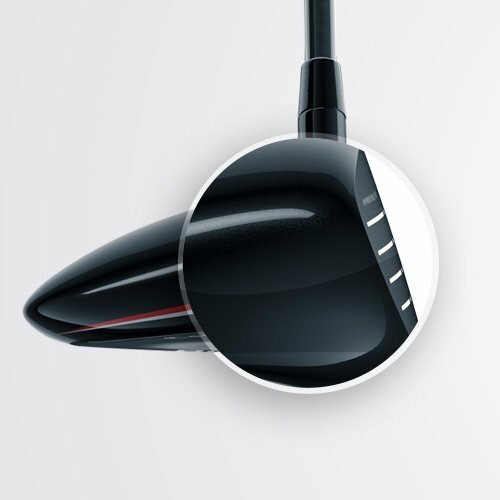 One of the more notable aspects of the 15.5 degree head is the visibility of the white grooves on the face. It frames the ball well and provides confidence at address. This is entirely subjective, however the combination of white/black contrast and the hollowed chevron on the crown really promoted confidence on ball location before the swing. The biggest surprise came from the overall weight of the club through the swing. Notably lighter than other offerings (including Callaway’s 2014 lines) suggested the potential of being awry through the swing and missing the target by a larger margin when swinging poorly. Much to surprise, it withstood every type of swing and motion with ease, and in many cases resulted in better accuracy overall. 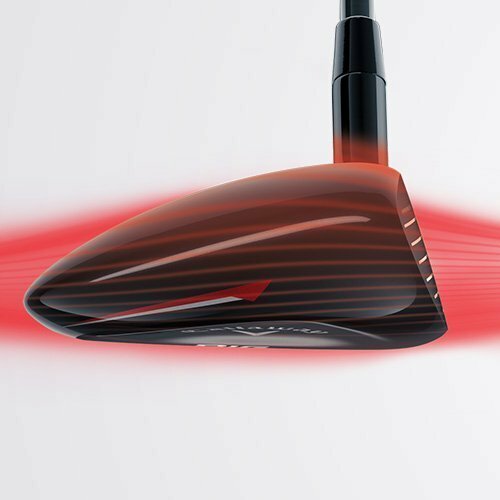 Velocity is a loaded word by definition, but in the case of the V-Series, complexity becomes simplified into a speed-enhanced package that will accommodate many golfers. For those who crave greater speed generated into contact, and seek improved launch in a subtle package, this fairway will perform admirably off and tee and off the short grass without compromising forgiveness. 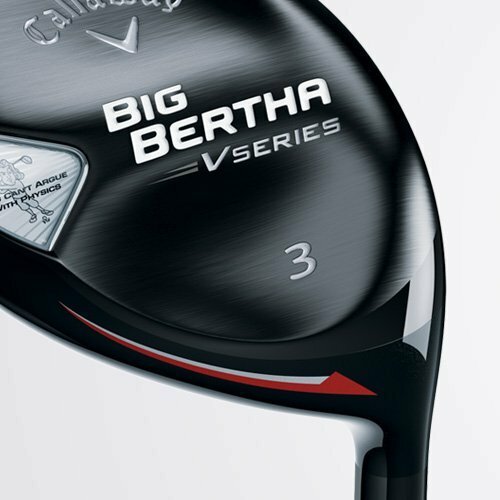 For more information on the V-Series, go to www.CallawayGolf.com. Great review Dan, certainly covered the details on this beast. Love to see the confirmation on the ease of use with this one and the high launch you were experiencing. Definitely as a guy that struggles with trajectory in general (but moreso with woods and hybos), this one is on a short list to try. Great job Dan, as a golfer who has lost swing speed and therefore unable to launch a 3 wood high enough to game one anymore, I may just have to demo the V-Series to see if I can squeeze more yards out over my 5 wood. I really need all the help I can get and this sounds like the ticket. Great job Dan. I find it funny (for lack of a better word) that they went with the warbird sole on these FW’s and not on the BB hybrids. Having a more versatile club from different lies is something I can only see as helping people while not sacrificing any distance. Sounds like the entire V-series (driver and FW’s) were made for a guy like me and have me extremely interested. Good stuff Dan. The way I’ve been hitting my 3W, these are very interesting. Will take any help I can get elevating the ball off the deck! As usual a solid review by THP staff providing facts and excellent details. As someone who loves the idea and the versatility of a 3W in the bag, but struggles at time elevating from the fairway when needed I need to go and hit this club. I have a few holes where if the confidence is there, this club could help me score better. Solid review here Dan! The “face neutral” is what really jumped out at me….and I think we see some success and early tour validation rather quickly. 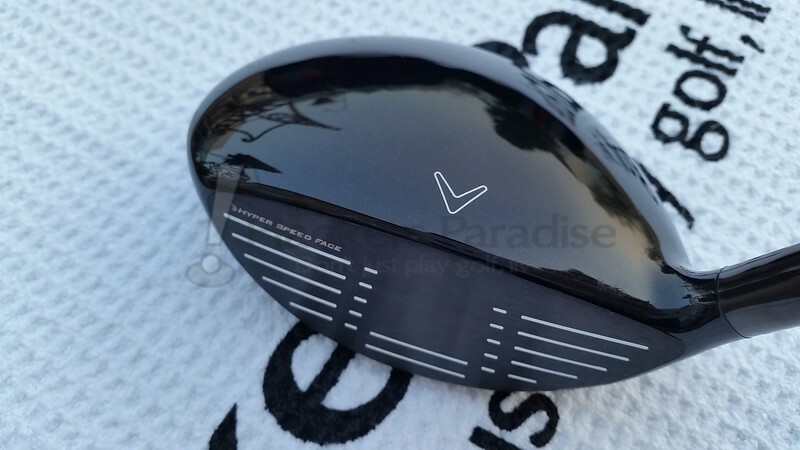 Excellent review, Dan, and it coincides with my use, still limited, of the V Series fairways. Fast through the ball and easy to launch. I owned the RBZ Stage 2 fairway, lofted up to 18 degrees, and struggled with it and other TM woods over the last w years. They are now collecting dust. With the BBV 15.5, I own a 3 wood for the first time in 7 years — it is easy to use off the deck and tee, even with the longer shaft. I am so impressed, I bought the 19.5 – 5 wood and Heavenwood. Same results — smiles. The game is fun again. Nice review Dan, this one might be up my alley. Great looking FW.